If its in the attic in the humid environment then yes. My home is 2400 sq ft, built in 1999 as a built smart home under Florida power and light guidelines. July 2010 had new A/C unit installed, Trane 4 ton 16XLI with a two speed air handler. Now I am seeing mold on the registers and on the ceiling around the registers. The humidity in the house runs between 60 to 77% with the thermostat set at 78 degrees and humidity set at 60%.If I set the humidity lower than 60% ,the A/C takes the temperature down to 72 degrees which is too cold. I am looking at installing a Honeywell DR90 whole house dehumidifier with a TrueIAQ humidistat to correct the humidity problem. It is tempting to quickly agree with your idea of using a dehumidifier, but first a couple points to make sure your a/c working properly. During peak cooling loads, your a/c should be able to maintain <50%RH. Yes, during cool wet weather when the a/c is short cycling or not running and the outdoor dew point is +55*F, you need a whole house dehumidifier to maintain <50%RH. Adding a dehumidifier before you correct the way your a/c operates is a big mistake that will cost you extra energy to cause the dehumidifier to make-up for a basic flaw in your a/c functions. This is job for a good tech who knows his stuff. 1. Your a/c coil temperature must be lower than the desired dew point in the home. At 78*F, 50%RH the dew point of the air in the home is 56*F. Consider that outside air dew point most of the U.S. is 75*F. All homes need some fresh air to be healthy. I assume you have 100 cfm of fresh air infiltration which is minimum to purge indoor pollutants. 100 cfm of fresh air needs 4 lbs. of moisture removed per hour. Also occupants add .5 lbs. of moisture per hour per occupant. Typically, removing 6 lbs. of moisture per hour will keep a home <50%RH. If your 4 ton a/c cooling coil is <50^F for one hour removes, 10 lbs. per hour. The amount of air flowing over your cooling coil and the a/c cooling capacity determines the coil temperature. More air flow results in a warmer coil and less moisture removed. Slow the air flow to get to <50%RH. Now the a/c is doing its part to remove moisture. You should be able to collect 10 lbs. condensate per hour from your a/c. 2. Also important is that your a/c blower is not blowing air over the wet coil during the off cycle. "On" blower evaporates the 4 lbs. of residual condensate that is on the coil at the end of the cooling cycle. 3. The last issue is the amount of fresh air infiltrating your home. If you ducts leak or you have massive air leaks which causes large amounts of high outdoor dew point air to enter your home, the a/c or dehumidifier will be unable to maintain <50%RH. The quickest way to check air leakage is collecting the condensate from your a/c. If your a/c is removing 10lbs. of condensate per hour and your %RH is +50%, you have excess air leakage or abnormal internal moisture loads. Removing 10 lbs. of moisture per hour will maintain <50%RH with 4 occupants and up to 200 cfm of infiltration/ventilation. Tightening the ducts/building leakage could be big. On the other hand, many air tight homes do not get enough fresh air during calm weather. They need 100 cfm of make-up air to purge indoor pollutants and renewing oxygen when occupied. Again measuring the amount of condensate your a/c removes will indicate the amount of outside air infiltrating your home. After all that you will need a whole house dehumidifier to maintain <50%RH during low/no cooling loads and +55*F outdoor dew points. Pass this along to your tech. He will understand the issues. Proper install of the dehumidifier is also important. Check the ultra-aire web site for suggestions. I have checked the duct work in the attic and it is in good shape, tight to the register boxes with mastic. When I removed the registers all the registers boxes were caulked in good to the drywall, so I am sure there is not an air leak in the system. The outside temperature this afternoon is 93 degrees, 72 dew point, and 50% RH. The a/c fan runs on high (compressor on) 9 minutes and on low speed (compressor off) 7 minutes and it continues this cycle thru the day. The inside temp is 77 degrees, humidity is 64%. If I raise the humidity setting on the thermostat to 70%,the a/c fan will stop at end of high cycle. Like I said before, if I set the thermostat for 50% humidity the temperature goes down to where it’s too cold in the house. I don't have a lot of faith in the tech that installed the unit as he set the humidity at 60% and told me I should leave it there. You have a major problem. You are describing a cooling cycle that is missing the low speed compressor operating. The fan running 7 minutes after 9 minutes of high speed cooling is not correct for a 2 speed system. Is it possible that the system is operating on the low speed with the fan in the "on" mode? Also what is the temp/%RH of air coming out of the supply ducts at the end of the 9 minutes? Fan must be in the "auto" mode. The dead band of you t-stat should be a minimum of 3*F. This will make the cooling cycle longer. You need a minimum of 30-45 min. cooling cycle to remove any real moisture. It takes +20 minutes to load a dry cooling coil/condensate pan with enough moisture to start going down the drain. At the end of the coiling cycle, there is 1 lb. of moisture per ton left on a coil/pan that will evaporate back into the house during an hour of non-cooling. Try raising your t-stat to 80*F. After the stat reaches 80*F, lower to 76*F, monitor the cold air supply temp/%RH and how long the cooling cycle is, and the resulting %RH in the room. You are missing the <50%F coil temp. Have you tried 80*F, 50%rh setting? Get a good tech in there. After you get the a/c working best you can , install a good whole house dehumidifier. I found me a new tech, which appears to understand the Trane variable speed air handler a lot better than the installers, who left it set at the factory default settings. I know he set the CFM from 400 down to 350 CFM which has lowered the humidity in the house to 56%. I am going ahead and have him install a whole house dehumidifier. One thing he wants to do is hook the dehumidifier drain into the A/H drain, which I not 100% sold on. The A/H is hanging next to the ceiling in the garage and he intends to locate the dehumidifier in the attic directly above. The A/H has a vertical TEE out the side with the drain on the bottom and cap on the top. His plan is to add another Tee on top of the existing one, bring the dehumidifier drain in from the side and have the cap on top. Ok to share drains if trapped properly. It is critical to get the duct connections right. Use an independent return from the open part of the home to the dehumidifier return. The supply of the dehumidifier should be to the supply or return of the a/c. Some a/c-s have very high supply duct pressures. Use the a/c return in the case of +.4"WG supply duct pressures. Hope you got an Ultra-Aire. 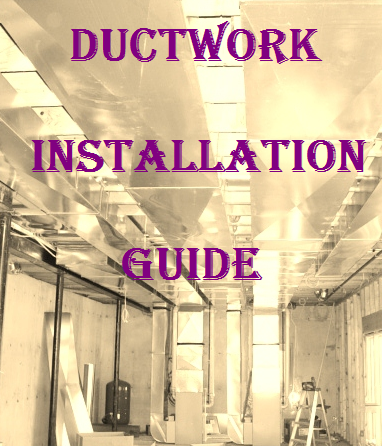 Glad to talk to your contractor concerning ducting details.